Growing up, I never doubted that I would one day become a lawyer. The law is my family’s business. One of my grandfathers was the police chief and the other was the town administrator in my home town of Portsmouth, Rhode Island. 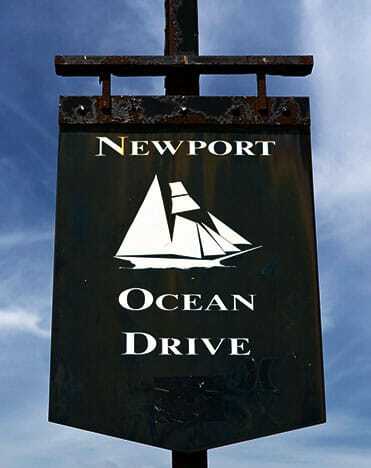 My father, Mark Thayer, has been practicing law in Newport since 1985. I first worked for Sayer Regan & Thayer, LLP with my younger sister when we were in high school, helping to scan files and make copies. In law school I branched out and worked with other firms in Newport and Fall River and also spent a semester clerking for the Rhode Island Attorney General in Warwick. In my final semester of law school, I returned to Sayer Regan & Thayer, LLP where I assisted with the Immigration practice. After law school I was hired as a full time associate with the firm, practicing in Rhode Island and Massachusetts. I initially worked mostly on residential and commercial real estate closings; however, I have since branched out and now also handle civil litigation, personal injury, DUI defense, municipal law, and landlord tenant cases as well. I truly enjoy my work and the practice areas that I have settled into. I always have a diverse array of cases, each with their own challenges, which has allowed me to gain a deep understanding of the local laws and rules of practice. I take great pride in being an attorney at the firm that I grew up with. The Rhode Island and Southeastern Massachusetts area is my home, and I look forward to growing along with the community that we serve.